42" Kitten Tree Condo - Assorted Styles Only $41.00 Shipped! 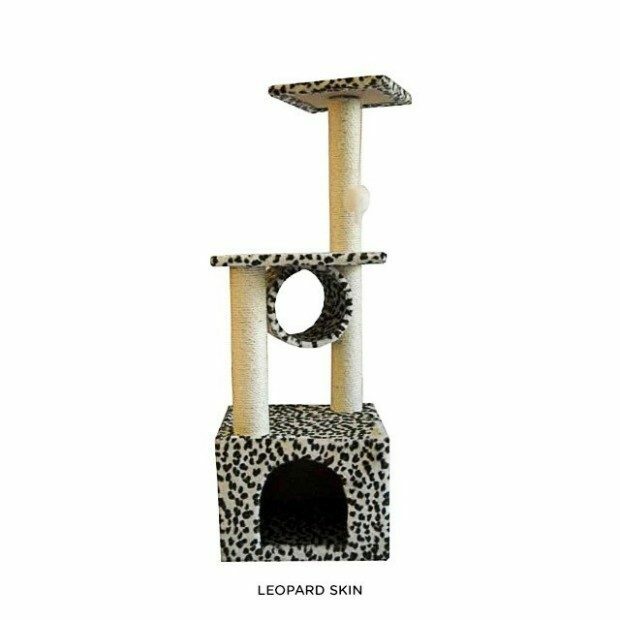 You are here: Home / Great Deals / 42″ Kitten Tree Condo – Assorted Styles Only $41.00 Shipped! 42″ Kitten Tree Condo – Assorted Styles Only $41.00 Shipped! Give your little kitties a fun place to play! Get the 42″ Kitten Tree Condo – Assorted Styles for Only $39.00 Plus $2.00 Shipping! Includes a hideaway, scratching posts galore, a little tunnel, and a fun hanging toy!